Tony Robbins’ quote is simple yet effective. How do we get where we want or need to go without that first realisation of a goal? Remember though, the setting of a goal is only the first step. “A goal without a plan is just a wish” – Antoine de Saint-Exuperey. Employee Engagement - The workplace miracle drug!! It’s no secret that ensuring the wellbeing of your employees is no easy feat. Former strangers from all walks of life are put into one place to spend most of their waking hours relying on each other in an environment with regular stressors and pressures. Everyone is different, everyone is busy and there can be thousands of factors within a workplace that contribute to its culture which each have their own causes and effects. 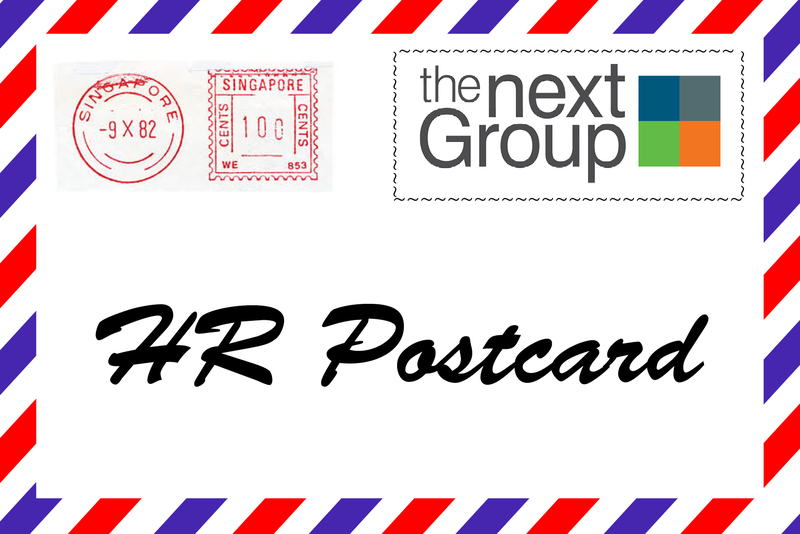 Our latest HR postcard is from Matthew Kimball, VP and Head of HR for Shell’s Global Commercial businesses. Global Commercial is a group of three business, operating in 150 markets with roughly 1.5 billion in earnings and close to 9,000 employees servicing 1 million customers. As we approach the summer holidays, I want to plant a seed with you that will give you hope, optimism and greater belief in the impact of our function. The rise of Artificial Intelligence (AI) assistance will not only benefit all facets of the business, but HR departments specifically: enticing and retaining top talent, while improving the interviewing and onboarding processes. No doubt we have all heard the saying ‘I hope it turns out okay’ and it never does? Hence why it’s important not to rely on ‘hope’ and ‘luck’. The same applies in the business world. Organisations cannot take a chance with that kind of mentality when it comes to maximising its competitive advantage to accomplish its mission. Employers are often required to exercise a significant degree of trust and reliance in job candidates, believing that they will be truthful in recruitment processes. Whilst it is good practice for employers to double-check a job candidate’s qualifications and experience prior to making an offer of employment, the reality is that information provided in a curriculum vitae or an interview will be relied upon by an employer when considering who to recruit. Providing references to prospective new employers about employees can be a tricky business. There are range of important considerations for those delivering references to take into account and often conflicting interests can creep into the equation. The concept of ‘leader’ is hardwired into our brains. Our life experiences, first with parents then teachers then managers, instil in us the unquestioned concept that social structures need a leader. This paper builds on some of the concepts outlined in my previous post, entitled ‘Trapped in an evolutionary time-warp: how human genetics sabotage modern organisations’ . One of the first steps that the Fair Work Commission (FWC) takes when dealing with unfair dismissal claims is to require the parties to participate in a conciliation. A recent decision of the Full Bench of the Fair Work Commission (FWC) has once again confirmed that the precise content and form required for notices of employee representational rights is no trivial matter. At the commencement of bargaining for a proposed enterprise agreement, employers are required to give relevant employees a notice of employee representational rights (NERR).